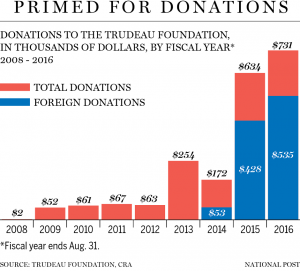 Two of the National Citizens Alliance (NCA)’s objectives are to eliminate the direct, behind-the-scenes influence of special interests on federal political affairs, and to increase the political influence of the Canadian people. The NCA believes that special interests including lobbyists play an important democratic role in society by for example increasing public awareness about important social issues. Special interests include corporations, not-for-profit organizations, individuals, both Canadian and foreign, who seek to influence government and/or the public about a particular interest. Yet, the NCA believes that special interests influence on government needs to be transparent and above board. The NCA does not support secretive, behind-the-scenes dealings between elected officials and special interests. The NCA believes that federal legislation may reflect the viewpoints of special interests, but at the same time, the legislation must be consistent with the best interests of the Canadian people. The NCA applies this standard to the conduct of elected officials and their relationship with special interests including lobbyists. Current federal legislation on conduct of elected officials stops short of this standard, and thereby opens an avenue for the corruption and misconduct of elected officials. The influence of lobbyists and conflicts of interest are currently limited to tangible or direct “financial” benefit. There is no regulation on tangible non-financial benefit and indirect benefit to elected officials. The NCA seeks to close this loophole. The Lobbying Act (1985) restricts the influence of lobbyists and regulates them through registration requirements. The Conflict of Interest Act (2006) prohibits elected officials from making political decisions that would benefit them financially. The Office of the Conflict of Interest and Ethics Commissioner enforces these Acts. The NCA believes that elected officials have the primary duty to represent their country and constituencies. The NCA acknowledges that special interest groups/individuals play an important role in raising issues that otherwise may not have been raised. Yet, at the same time, the NCA believes that the elected official has the responsibility to act in the best interests of the country and his/her constituency over a conflicting special interest. The NCA will ensure through legislation and enforcement that elected officials conduct themselves within this democratic standard of serving the public good. The NCA membership voted on 2014-04-04. 100 percent of voting membership voted in favour of the Transparency and Accountability Policy Statement with a 100 percent quorum. These results satisfy the minimum 70 percent voting membership support and 50 percent quorum of voting membership required for adoption of policies as per the NCA Constitution.